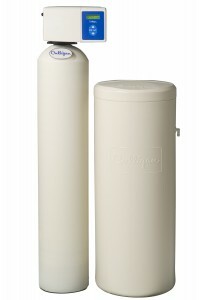 Get water analysis, standard installation and 1st salt fill FREE! You shouldn’t have to think about water…But you should, as water can be so harsh. Hard water and iron in your water can cause unpleasant taste and odors, stains on clothes, fixtures and dishes. Hardness and iron form a scale that makes water heaters and other water-using appliances work harder in addition to clogging shower heads. 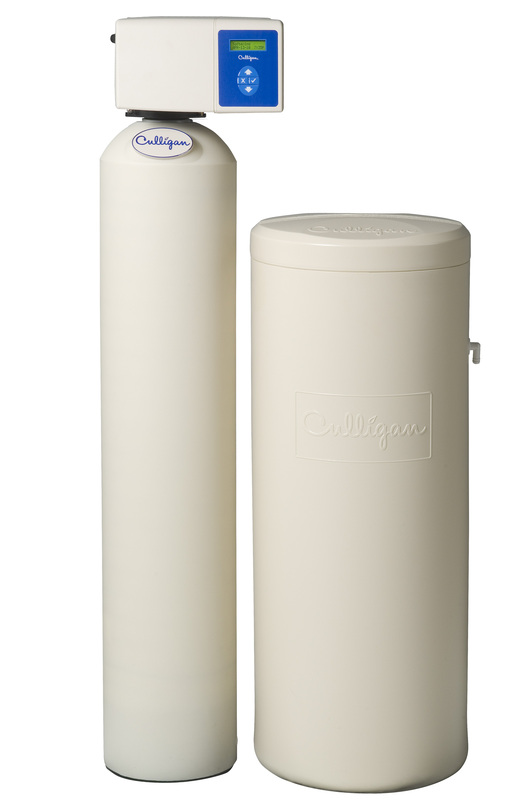 Fortunately there is a solution… the Culligan HE Softener-Cleer. This smart technology thinks for you. 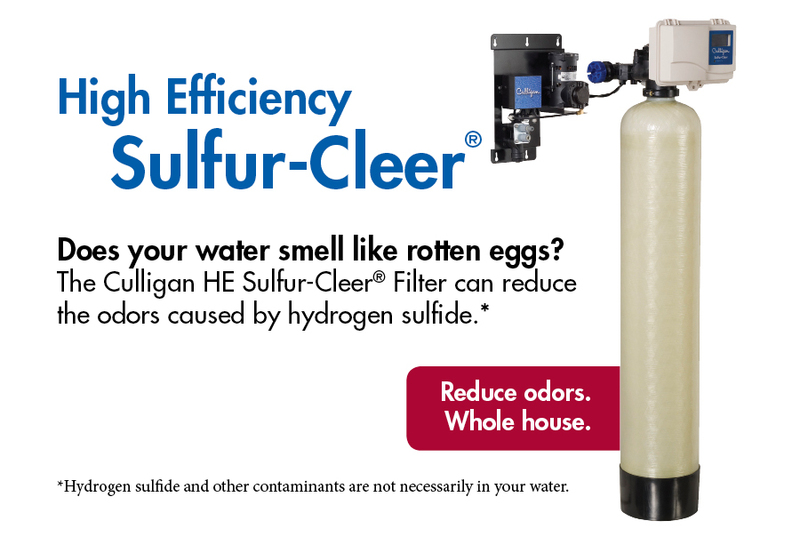 In addition to reducing hardness and iron, the Culligan® HE Softener-Cleer Plus stops that “Rotten Egg Odor” – Hydrogen Sulfide. Hydrogen sulfide can leave black stains on your laundry and bathroom fixtures. Even worse, it can cause damage to your pipes leading to costly repairs. Do you dread turning on the tap and facing that rotten egg smell? Have you had enough of rust stains or black spots on your laundry and fixtures?